Very happy with my two SuperG races today in Serre Chevalier. This season I had two major goals: the first was to qualify for the second run in the GS or SL race at the World Championships, the second was to lower my FIS points below 80 in one of the speed disciplines. With my two results today (82.5 and 71.9 points) I will finish this season with 77 FIS points in SuperG and have now achieved both my season goals. Happy to be back on the podium for two second place finishes in GS in St Gervais Mont Blanc. Thanks to all who have posted messages of support on this website and on Instagram. I would like to especially thank Dominique and family from Switzerland- thank you so much for your trust and encouragement, and Rickey from the US who has travelled the world to cheer for me at three World Championships and the Winter Olympic Games- awesome. Thank you ToyShades, Great British Eyewear Brand, for supporting me by providing some really classy shades. They look grand on the slopes! 4) Qualify for the second run for the first time in GS and SL YES!!! I'll see some of you soon in Are! Preparing for the World Championships in Are... racing GS in Champsaur (South of France) and on injected slopes in Courchevel. The Team for Sweden are Tess Arbez, Cormac Comerford and Kieran Norris. So proud and honoured to be part of Team Ireland heading off to the Alpine Skiing World Championships in beautiful Are, Sweden. My third World Championships, can't wait! Help me finance the upcoming season by buying a super cool "Fan Club" hoodie, colour charcoal grey (see photo album and full details below). Sizes in stock: S, M, L, XL. Other sizes (XS, XXL) available. Price 75 euros. Will post worldwide. Please contact me via the website contact form for payment options and posting. Back from the Winter Olympics in PyeongChang it is already time to think about the next season. A complete season of racing at an international level is very costly and I am running on a very tight budget. Would you help? Please contact me via the website contact form for more information. Followed up on my two podiums in GS (3rd and 1st) with two podiums in Slalom (3rd and 2nd). Four podiums in four days. Back on European snow with two podium finishes in two days: 1st and 3rd in the FIS C Giant Slaloms in St Gervais. Thank you for everything it was a dream! 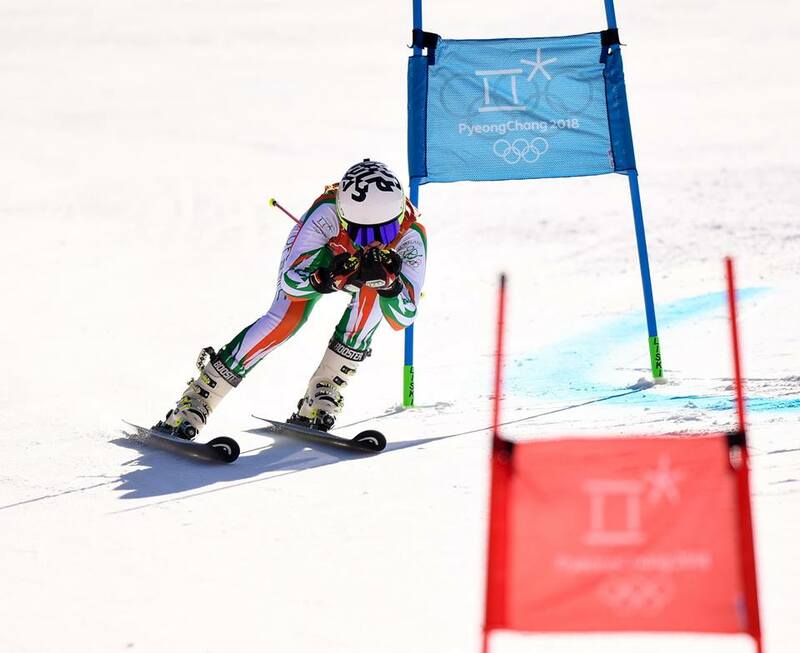 Several really nice articles have come out in the press this week on Team Ireland's Winter Olympic journey. 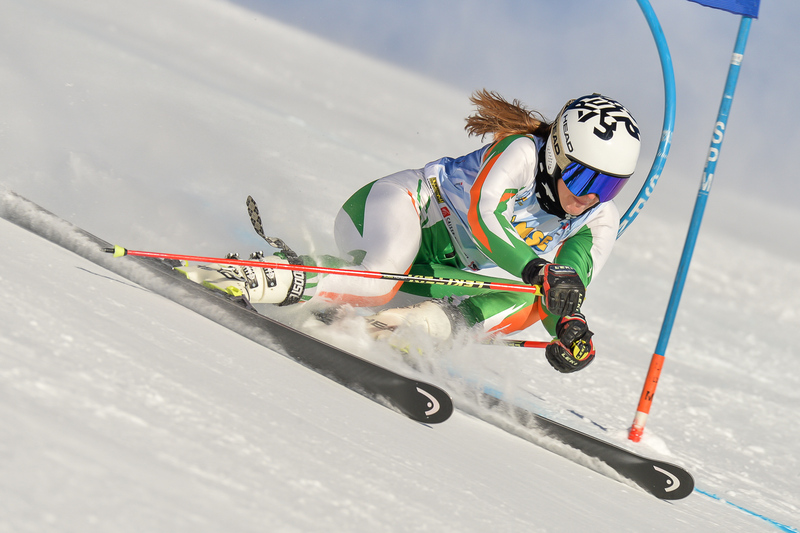 Very appreciated coverage for Alpine skiing in Ireland! All pumped up by the excitement of the Giant Slalom on Thursday my second and final Olympic race was the slalom Friday on the same course in Yongpyong. Happy with my 46th place, moving up 15 places in the ranks! After my slalom race was also postponed on Wednesday due to high winds on the course my first Olympic race was the GS Thursday. I was very nervous on the first run but happy with my second run on a daunting course, knocking 4 seconds off the time of my first run to finish in 50th place. Officially an Olympian! What could be better than that? Tomorrow the slalom! Éirinn go Brách! Racing day today but the wind won- the giant slalom will take place on Thursday! Let's go! So proud to parade yesterday behind our Team Ireland flagbearer Seamus O'Connor with teammates Bubba Newby Thomas Westgard and Pat McMillan. The show was extraordinary- packed with technology and poetry..